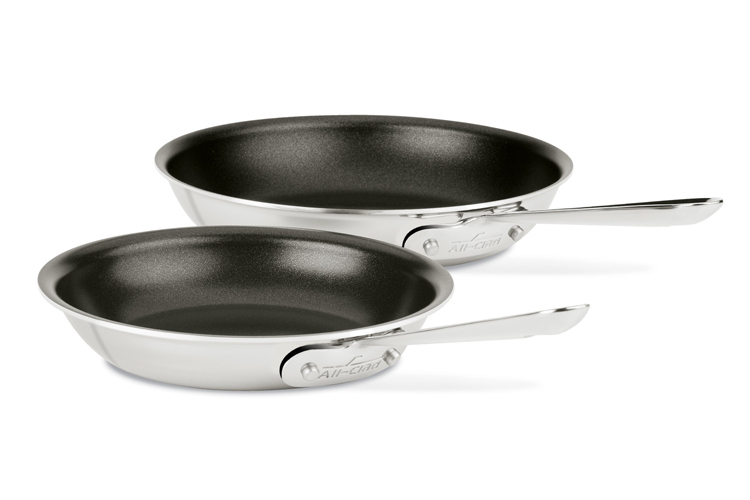 All-Clad stainless steel cookware is All-Clad's best selling line of cookware for good reason. It has a tri-ply construction with an aluminum core for even heating and a magnetic stainless exterior which makes it dishwasher safe and perfect for all cook tops including induction. The nonstick cooking surface is PFOA-free, releases foods with ease and is easy to clean.